I am a recovering anti-crafter. It is true. I never thought of myself as someone who was good at crafting. That was until I became a Mom. There is something about bringing a new life into this world that makes you realize that you can do anything. 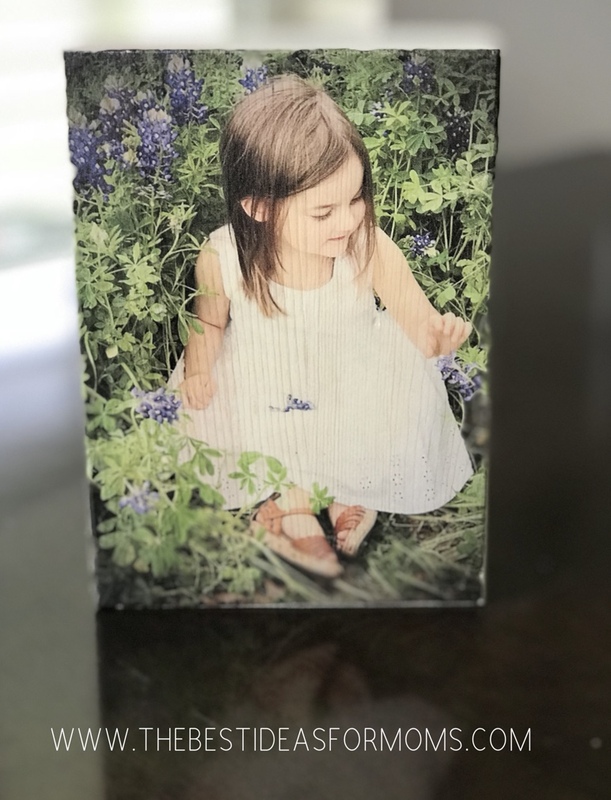 So hit with the crafting bug, I decided to try this super simple DIY photo block project. In the spirit of transparency, I will also confess that this was not the first time I tried this project. The first block was a little bit of a disaster. Such is the life of a crafter. To save others from making the same mistakes I decided to document it this time. 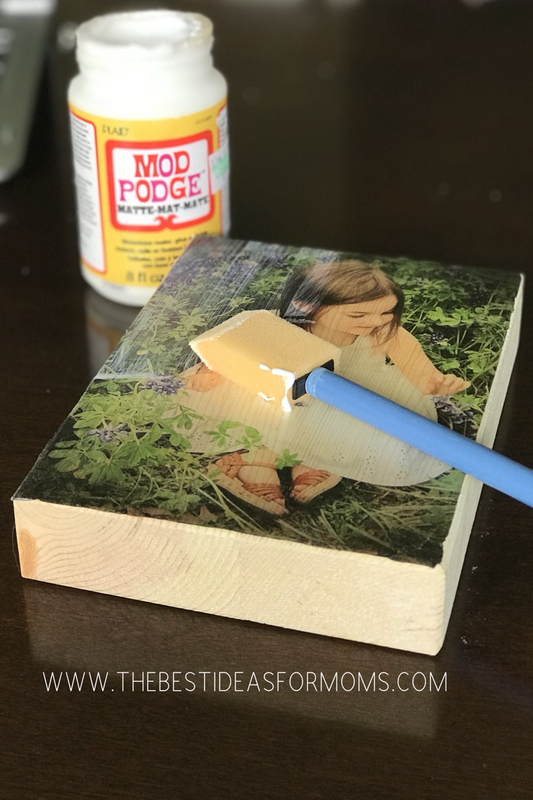 This project is so easy a child can do it which also makes it the perfect gift. These are also great to make for babies and toddlers. 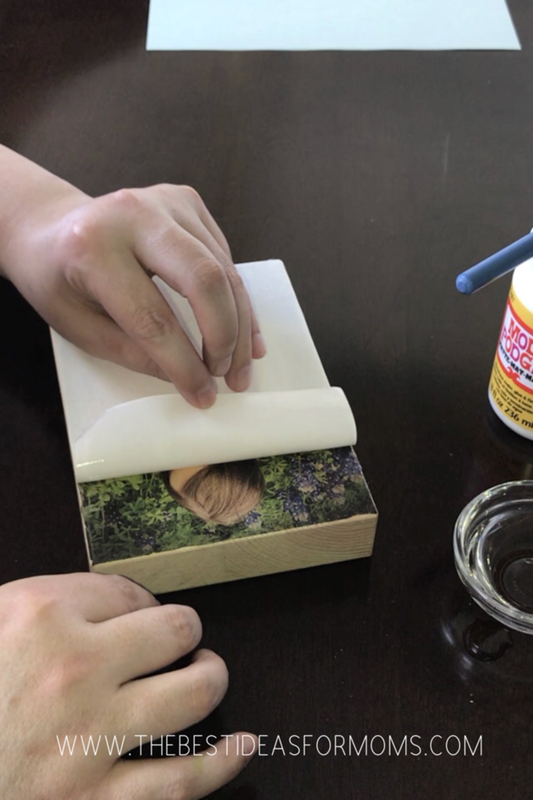 We all know they are very hands on and you can give them a picture of loved ones without worrying about the photo being damaged. Once you master the technique you will be able to apply it on so many different projects. Below are the written steps but if you are a visual learner the full video tutorial is posted below. Print the picture you are going to use on the shiny side of the tattoo paper. Be sure to let the ink dry on the paper. 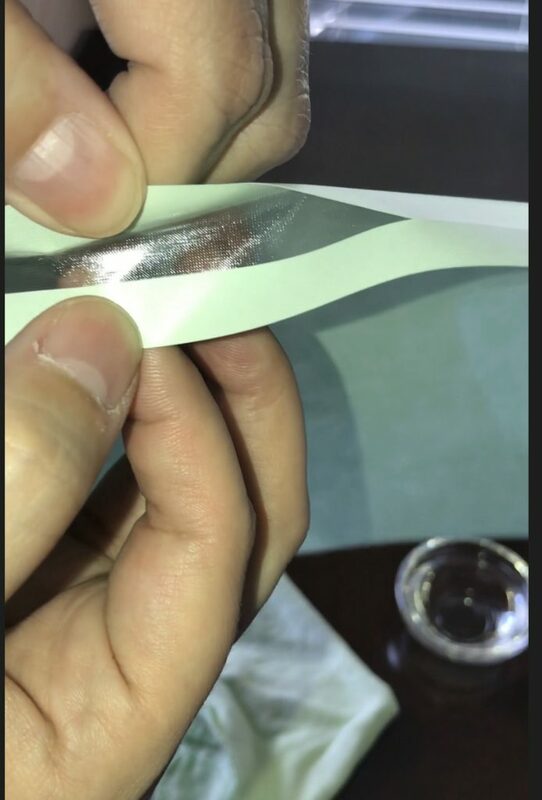 Remove the green packing from the plastic sheet. Carefully place it over the picture and press. Cut the picture down to the correct size. 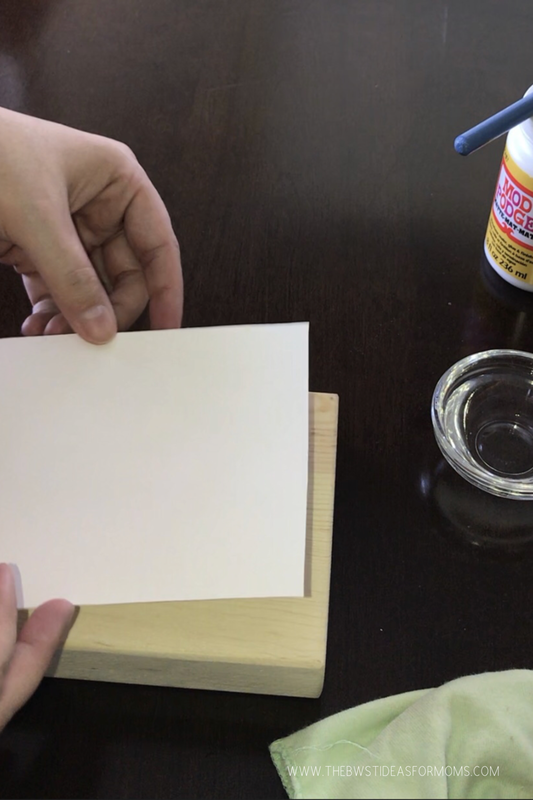 Remove the clear paper from the picture and carefully place the picture on the block. Press firmly and lightly wipe the back of the photo with a damp cloth. Gently pull back the photo paper. Be sure to press down any parts that peel up. Let it dry. That’s it! Now you have a beautiful gift that will surely melt the receivers heart.